SG Bus provides you realtime SBS and SMRT busarrival timings, load info (i.e. how crowded the bus is), and ifthe bus is wheel-chair accessible. Please support us by rating our app and feel free to give usfeedback through the review system. SG Bus can only get better withyour help. Before you give us a bad review, please email us [email protected] and let us know what we can be doingbetter. Feel free to visit our blog, http://whatspost.blogspot.sg, for moreupdates! The app uses the bus timing from LTA (Land Transport Authority). Weare not liable for the accuracy of bus timing. SG Bus provides you realtime SBS and SMRT busarrival timings, load info (i.e. how crowded the bus is), and ifthe bus is wheel-chair accessible.Please support us by rating our app and feel free to give usfeedback through the review system. SG Bus can only get better withyour help. Before you give us a bad review, please email us [email protected] and let us know what we can be doingbetter.Feel free to visit our blog, http://whatspost.blogspot.sg, for moreupdates!Google Plus: http://google.com/+KhubiteAppspotFacebook: https://www.facebook.com/khubiteDisclaimer:The app uses the bus timing from LTA (Land Transport Authority). Weare not liable for the accuracy of bus timing. A mobile friendly view of Singapore TV guide. SG TV Guide isprobably the easiest application to check complete listing ofMediaCorp television channels in Singapore! 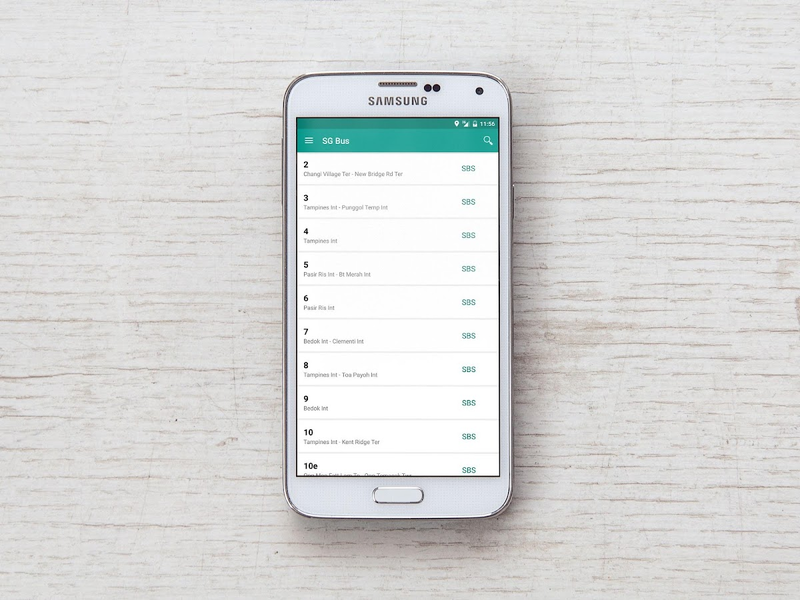 With this app, you willnot miss your favorite drama or movies anymore. You can even shareyour current watching show on the social media!We also have aTelegram Bot: SG TV Guide Bot (@sgtvguide_bot), which has thesimilar feature.Please support us by rating our app and feel freeto give us feedback through the review system. SG TV Guide can onlyget better with your help. Before you give us a bad review, pleaseemail us at [email protected] and let us know what we can bedoing better.Feel free to visit our blog, for more updates!GooglePlusFacebookDisclaimer:The contents are retrieved from the web andI am not responsible or liable for the accuracy and content of theinformation. Going to the supermarket to buy your groceries and do not know whatare the current offers and promotions? You can now browse theweekly ads and promotions published by the local supermarkets,which includes Cold Storage, FairPrice, Giant, Prime and ShengSiong from your Android device. It will be very convenient forthose who goes shopping every week for daily needs.Please supportus by rating our app and feel free to give us feedback through thereview system. SG Supermarket can only get better with your help.Before you give us a bad review, please email us [email protected] and let us know what we can be doing better.Webversion: http://sg-supermarket.appspot.comFeel free to visit ourblog, http://whatspost.blogspot.sg/search/label/SG%20Supermarket,for more updates!Google Plus:http://google.com/+KhubiteAppspotFacebook:https://www.facebook.com/khubiteDisclaimer:The contents are ownedby the individual supermarket and I am not responsible or liablefor the accuracy and content of the information. Simple and Lightweight! 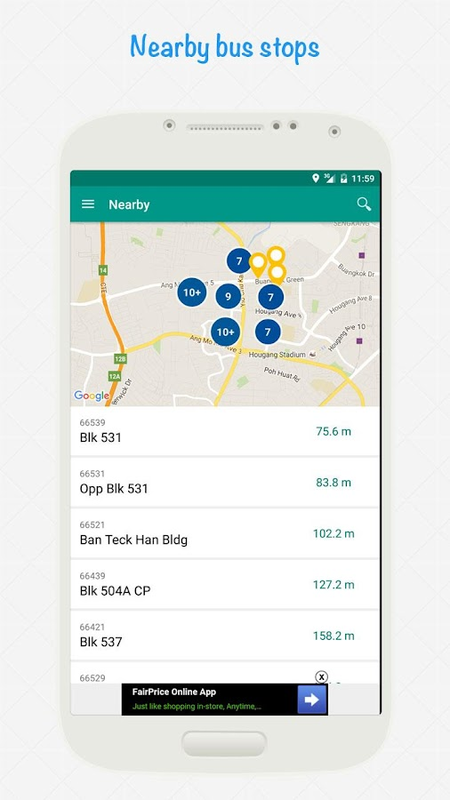 A tools to check bus arrival time for SBSand SMRT in Singapore. Features: - Show nearby bus stops - Showbuses arrival time based on bus stop code - Show if the bus havewheelchair accessible - Show the seat availability: green (seatavailable), amber (standing available), red (limited space) - Saveyour favorite bus stops - Rename your favorite bus stops (alias) Torename existing favorite bus: - Go to home screen - Tap editfavorite to switch to edit mode - Tap favorite bus stop that youwant to rename - An edit dialog will show up To sort favorite: - Inhome screen, tap edit favorite to switch to edit mode - Long pressand drag To remove from favorite: - In home screen, tap editfavorite to switch to edit mode - Tap delete icon Support SBS andSMRT Need your help: If you find any inaccurate info, missing busservice or bus stop. Please email me. Thanks! SG Bus Arrival app provides real-timebusarrival timing for SBS and SMRT bus routes in singapore.IMPORTANT NOTE: All SG bus arrival timings and busstopservice information are provided by the Land Authority ofSingaporeon an "as is" and "as available" basis without warrantiesof anykind.Advanced Features1. Search AdvancedCan search anything includes bus numbers, bus stops,streets,buildings whichever you comfort! With Exact locationresults! - SGbus Advanced2. Favorites AdvancedChoose Favorites by SG Bus stops, SG Bus no and SG Placeswhicheveryou comfort! With easy and fast live timings! - SG busAdvanced3. SG Bus TimingsShows upto 3 Bus timings , it may plan your steps from officeorhome..Convenience with SG Bus Advanced!4. SG Bus RoutesClick on SG bus service number to see SG bus routes advanced!5. Real-time SG Bus app advancedReal time data provided by LTA with latest timings - SGbusAdvanced6. Optimization and SpeedApp gives real time with optimized solution to save performance inalive environment7. Bus IntervalsSG Bus advanced shows you the interval between previous andupcomingbus , so can able to plan accordingly!Disclaimer: This app is supported by advertisement. 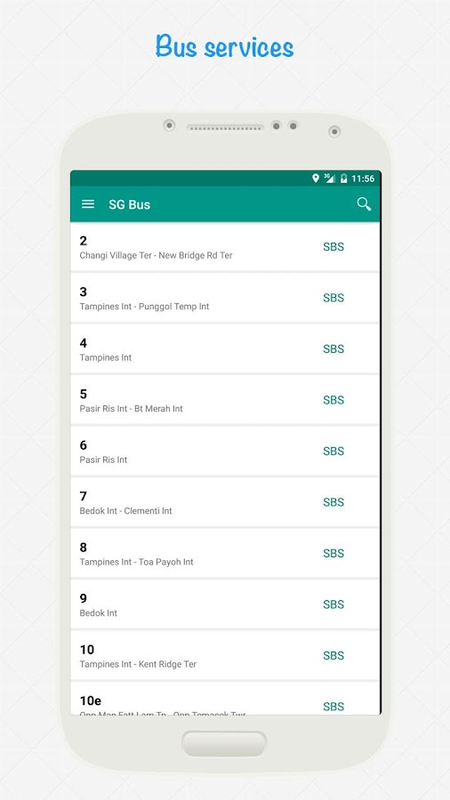 This appisdone FOC by the developer and there is no monetary rewardsfromLTA, SBST or SMRT.--------------------Tag Keywords :SG bus, SG buses, SG bus arrival times, bus arrival time,busarrival, SG bus arrival, SG bus stops, SG bus stop,singapore bus arrival, SG bus app, singapore bus, bus appsingapore,SBS bus app, SMRT bus app, Singapore bus location, SGbus routes,bus routes singapore-------------------We are using the new(&only available) data source fromLTA(LandTransport Authority) Singapore.As this is an new initiative, we seek your understandingandpatience if there are issues along the way. 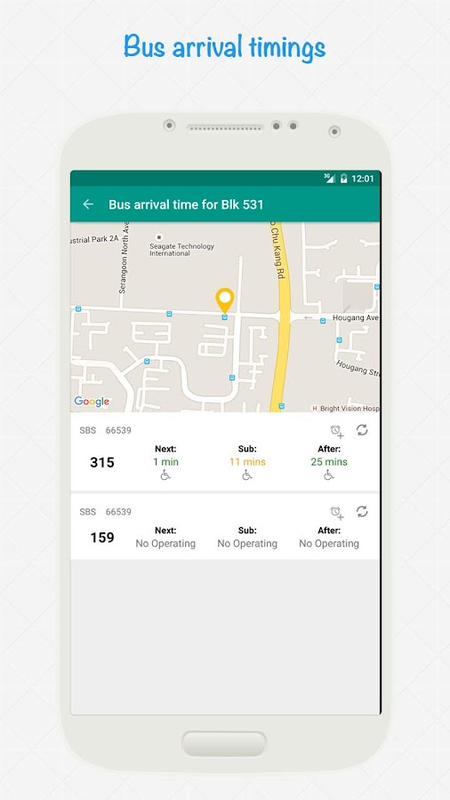 Singapore SG busstopsAdvanced app will taking care of your journey on time.If there is any feedback on the data, please drop ane-mailto [email protected] and we will compile and passit toLTA.